Taking care of those pesky autumn leaves can be a real headache if you aren’t armed with the right knowledge. Trees offer great shade on sunny days, fresh new oxygen leaves upon leaves for you to rake in the fall. It’s a necessary chore for keeping your landscape and neighborhood beautiful, but can be a hassle. With the right tools and strategy, you can turn his chore into a much easier task. It can even be fun for the family as kids love jumping into those huge piles of leaves. But ultimately you want them clear to return your property to its nicely manicured look. 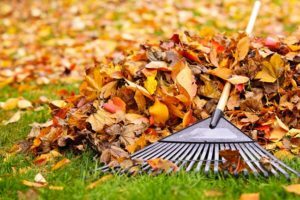 Here are the best tips for raking up the leaves. Before you get to it, consider whether you’re using the best rake that you can. There are rakes designed to work better with your body, by positioning it to give you more comfort. Once you get going, you can make the task a bit easier on yourself with this trick: using a tarp instead of a bag. With a tarp, you can rake each leaf directly onto the tarp and then use it as a funnel for pouring them into a trash bag. The leaves by themselves are really light and manageable, but once you gather them into large piles, they start to accumulate some heavier weight. If possible on your property, rake every leaf downhill. It puts gravity on your side and allows the natural slant of the ground to assist you in collecting the leaves. Probably the most frustrating part about raking leaves is when the wind gets ahold of them and makes you do double the work. Pay attention to which direction the wind happens to be blowing in and use it to help you gather up the leaves. Rake in the same direction as the wind so that you don’t have leaves blowing back into your face. Your mower may hold the key to making cleaning up leaves a much easier task. Particularly, mulching mowers are perfect for this task. Just put your mulching mower on its highest setting and go over your yard once or twice to get the job done. Then afterward, you can use the chopped-up bits of leaves as mulch for your garden or compost pile. For service during business hours, reach out to us or give us a call at 410-592-7321. 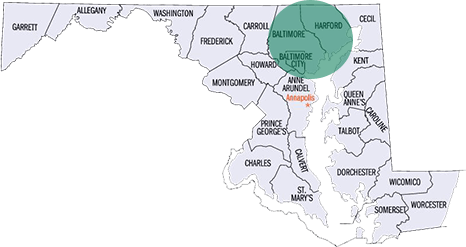 We offer 24/7 emergency service as well, just give us a call at 443-250-6649. For updates about our business and more informative tips, follow us on Facebook, Twitter and Google+. This entry was posted on Friday, December 1st, 2017 at 1:22 pm. Both comments and pings are currently closed.